In Hamilton May 20, 2018, you are invited to tea! At the Hamilton CUC ACM (2015), the Canadian Unitarian Universalist Women’s Association will gather for the eighth year, this time with a theme of gender equity in the workplace. Because Tea Parties are a women’s tradition during which we share important developments in our lives that are social issues, with our dynamite speaker, we will network, plan and learn together with a tea (hosted be a Stephen Lewis Granny Group) and our annual general meeting of our national women’s organization. Open to all. Sun, May 20 at 2:30-4:30 – Tea and Speaker followed by AGM; we invite you attend to attend both or either. Women’s experiences in the workplace are once again front page news. Women have made dramatic gains, moving into politics, non-traditional occupations, educational institutions, and expanding the realm of our personal freedoms. However, the renewed revelations of the sexual harassment that pervades our workplaces and the persistence of the gender wage gap call upon to ask: where do we stand in the struggle for gender equality today? What workplace gains have we made and what unfinished business do we have to attend to? What opportunities does the #MeToo movement present for renewing feminist struggles to advance gender equality? 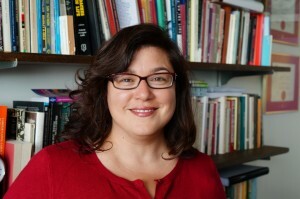 Stephanie Ross is Associate Professor in the School of Labour Studies at McMaster University. The underlying theme of her research andteaching concerns how ordinary people make social change through collective action in the face of powerful forces to the contrary. She is especially interested in public sector workers, their unions, and the unique role they play in shaping and defending public services. With Larry Savage, she has edited three books, Rethinking the Politics of Labour in Canada (Fernwood 2012), Public Sector Unions in the Age of Austerity (Fernwood 2013), and Labour Under Attack: Anti-Unionism in Canada (forthcoming), and co-authored another, Building a Better World: An Introduction to the Labour Movement in Canada (Fernwood 2015). She is president of the Canadian Association for Work and Labour Studies and a member of the board of the Workers’ Arts and Heritage Centre in Hamilton. Location: Workers’ Arts and Heritage Centre, 51 Stuart St. Hamilton. Shared taxi transportation will be arranged from the MUSC building; all registrants can find details and information available at ACM welcome desk. Donations accepted to cover costs. To Register: Download this registration form – Registration Form , or email cuuwa.ca@gmail.com with your name, email address. You will be contacted with details.